Reclaim the road. Take up to $150 off new tires. This special offer runs April 1 – May 31, 2019. *Restrictions apply. See participating Mercedes-Benz dealers for complete details. Offer only valid on select OEM, OEA, OEC, OAC, and WIN replacement Bridgestone, Continental, Dunlop, Goodyear, Pirelli, and other select tire brands. Tires must be dealer installed by June 7, 2019 to qualify for the offer. Excludes previous purchases. Only eligible on Mercedes-Benz vehicles. No cash value. Void where prohibited by law. Must be in-stock at Mercedes-Benz of Farmington. Contact a Service Advisor at Mercedes-Benz of Farmington for details. Please present coupon at time of check-in. May not be combined with any other offer. This coupon is valid only at Mercedes-Benz of Farmington. Offer ends May 31, 2019. This April, receive a complimentary alignment check with the purchase of a set of 4 OEM approved Mercedes-Benz tires. Contact a Service Advisor at Mercedes-Benz of Farmington for details. Please present coupon at time of check-in. Mercedes-Benz vehicles only. May not be combined with any other offer. This coupon is valid only at Mercedes-Benz of Farmington. Offer expires April 30, 2019. Call (801) 447-8142 to schedule your visit. Complimentary vehicle pick-up, delivery, and loaner vehicle available for Mercedes-Benz owners within a 50 miles radius of Mercedes-Benz of Farmington. Contact a Service Advisor at Mercedes-Benz of Farmington for details. Complete your Mercedes-Benz A Service at Mercedes-Benz of Farmington through our Express Service Department. The A-Service first visit is recommended at approximately 10,000 miles or 1 year of ownership. The exact time is determined by the vehicle’s Flexible Service System. Contact a Service Advisor at Mercedes-Benz of Farmington for details. 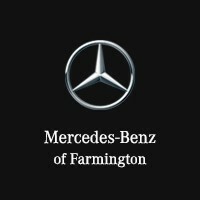 Complimentary vehicle pick-up, delivery, and loaner vehicle available for Mercedes-Benz owners within a 50 miles radius of Mercedes-Benz of Farmington. Contact a Service Advisor at Mercedes-Benz of Farmington for details. 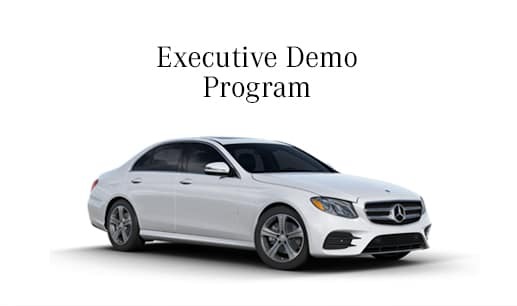 When you get your vehicle serviced at Mercedes-Benz of Farmington, take advantage of our complimentary service loaners to get you back on the road and about your business. This is a unique benefit of owning a Mercedes-Benz. To ensure a smooth service experience, schedule your service appointment online or call our service department to set an appointment that fits your schedule. We can pick up your vehicle and deliver it back to you while providing you with a Service Loaner to drive in the meantime. *Complimentary vehicle pick-up, delivery, and loaner vehicle available only for Mercedes-Benz owners within a 50 miles radius of Mercedes-Benz of Farmington. Contact a Service Advisor at Mercedes-Benz of Farmington for details. Mercedes-Benz vehicles only. Please present coupon at time of check in. This coupon is valid only at Mercedes-Benz of Farmington. No matter where you purchased your Mercedes-Benz or Sprinter – new, Certified, or used – when it’s due for service, we’ll pick it up from your home or office, leave you with a loaner vehicle, and return it to you once service is complete. Experience luxury vehicle ownership redefined at Utah’s highest-rated luxury dealership* today! *Complimentary service vehicle pick-up and delivery available within 50 miles of our facility. Mercedes-Benz vehicles only. Must request when appointment is booked, and must be reserved at least seven days in advance. Subject to availability, both for appointments and loaner vehicles. Certain factors, such as weather and traffic, may delay or cause rescheduling of this service. SLC airport shuttle available with proof of travel; maximum storage time for vehicle at our facility is seven days after completion of servicing. Vehicle will be parked outside, uncovered, and we will not be responsible for force-of-nature-type damages and any subsequent mechanical concerns which may arise from storage. Please contact us to schedule, and for more important information on these services. Utah's highest-rated luxury dealership claim based on Google, Facebook, and DealerRater reviews as of 3/30/17. *Complimentary service vehicle pick-up and delivery available within 50 miles of our facility. Mercedes-Benz vehicles only. Must request when appointment is booked, and must be reserved at least seven days in advance. Subject to availability, both for appointments and loaner vehicles. Certain factors, such as weather and traffic, may delay or cause rescheduling of this service. SLC airport shuttle available with proof of travel; maximum storage time for vehicle at our facility is seven days after completion of servicing. Vehicle will be parked outside, uncovered, and we will not be responsible for force-of-nature-type damages and any subsequent mechanical concerns which may arise from storage. Please contact us to schedule, and for more important information on these services. Utah's highest-rated luxury dealership claim based on Google, Facebook, and DealerRater reviews as of 3/30/17.